Coloured contact lenses can be such a lot of fun and there's so many options to choose from, you can be bold by changing your eye colour or be subtle by enhancing your natural colour, make your eyes look bigger, make them sparkle, shimmer or shine. And then there's Colourvue contact lenses with wild, crazy designs so you can really stand out in the crowd! When you buy your colour contact lenses online it's important that you choose the lenses in the correct category ; If you do not require a prescription power and are only buying colour lenses for cosmetic purposes choose the brand tiles in the Cosmetic Coloured Lenses section. The lens prices in this section include GST and are not claimable on your health fund as they are not deemed as a medical device. If you normally wear contact lenses with prescription powers choose the brand tiles in the Prescription Colour Lenses section. When you buy your prescription colour lenses online they are exempt from GST, regardless if they contain colours or not, are seen as a medical device, they are also claimable with Australian Health Funds. 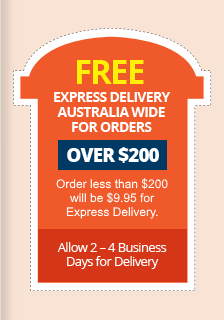 Our receipt from contactlens.com.au will feature all the details that your require to claim. Unfortunately if you have an astigmatic or multifocal prescription, coloured contact lenses are difficult to come by and we do not have any of these coloured prescription lens options online. However in saying that, do not despair, there is a company call Capricornia in Brisbane who make custom made soft colour contact lenses. You will need to order these specialised lenses through your Optometrist.